I Will Stand, Will You? That line, at the end of the Declaration of Independence, set the tone and the direction our nation would go for the duration of our republic. It also sealed the fates of many of the men who took a stand, and signed their names… to an IDEA. 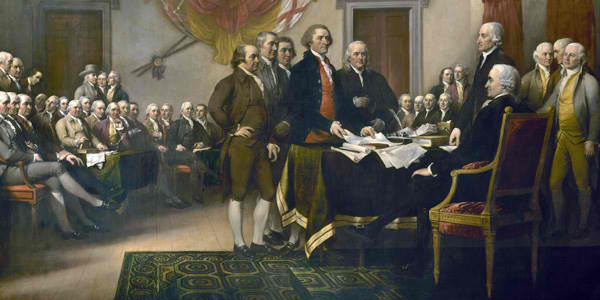 They weren’t kidding about pledging their lives and fortunes, all for the concepts of freedom, liberty, unalienable human rights, independence and self-governance. They all TOOK A STAND for the yet untested ideas whereby a nation of people living in freedom, governed by laws created BY the people, FOR the people, could flourish without dictatorial control. 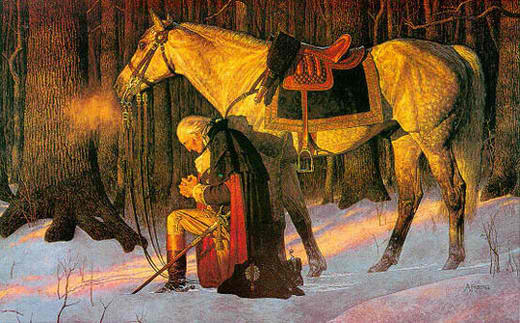 The American revolution is the only revolt of its kind in history that did not end in tyranny. Americans ended up with more liberty, more freedom, after the American Revolution. That was an historical first. Ever wonder why that is? Could it be that the founders had more than men ruling over men in mind? Do you think we are still living under the founding principles and ideas that Americans have been fighting and dying for for generations? Are the concepts of LIFE, LIBERTY, and PROPERTY just meaningless words to too many people? I won’t answer that question for you. I want you to decide for yourself. Don’t rely on someone else to make the case one way or the other. Decide for yourself. That’s what ‘taking a stand’ means. Lead, don’t follow. Once you decide the truth, the reality of our present condition as a nation and a people, then there is one simple decision to make: When and where are you willing to take a stand for what is right? Now you know where you stand, now what? Ask yourself some questions, and seek answers: Who do you know (in real life) who will stand with you? Who do you know who won’t stand with you? Are you willing to pledge your life, fortune and honor, all for an IDEA… a CONCEPT? Will you stand for the truth, even if 99% of those around you believe the lie? These questions will need to be answered by every individual. No one can decide what you believe, but you. My gut tells me, you already know the answers. I also know it’s extremely difficult to know what you will really do, should you be forced to truly make a stand that could effect your life, liberty, fortune, property, honor… did I mention life? There are no communities to join, no memberships, no meetings. If this nation is to be returned to its original principles and purpose — a beacon of freedom and liberty, governed by a democratic representative republic — it will only do so when people of principle, relying on divine providence, stand for the truth no matter what the repercussions. Everyone needs to stand individually. When thousands, millions, stand as sovereign individuals (not as a special interest group) then, and only then, will our nation begin restoring liberty. I am willing to take a stand (even on bended knee.) I am willing to pledge my life, fortune and sacred honor. What about you? Are you willing to stand up for the truth, even if the costs are high? Then welcome. That makes two of us. Let’s work on honoring the oath our Founding Fathers made, and encourage others to know where they stand. It’s the least we can do, to honor the pledge our Founding Fathers made on our behalf, for generations of Americans they would never live to see.